Washington Gov. Jay Inslee announced Thursday that James Weaver, a longtime information technology official in Pennsylvania, will be the state’s next chief information officer. Weaver’s appointment to lead Washington Technology Solutions — the state’s IT agency, also known as WaTech — ends a vacancy that lasted more than a year. Weaver, who will start in Washington Dec. 10, spent the past three years as Pennsylvania’s statewide chief technology officer. He previously spent 26 years in various IT roles at the Pennsylvania Department of Public Welfare, finishing as the department’s deputy CIO. He now joins Washington amid several modernization projects and some conflict surrounding how WaTech serves more than 100 agency customers. In a subsequent letter to State Auditor Pat McCarthy signed by Cockrill and David Schumacher, director of the state Office of Financial Management, Cockrill and Schumacher disputed many of the audit’s conclusions, including its account of the security service incident, writing that the service was updated, in fact, as a response to agency feedback, and done so even before WaTech was formed through a merger of three disparate state IT entities in 2015. In an interview earlier this year, Cockrill told StateScoop his side of the story, explaining that when resources are as constrained as they are in state government, at least one agency is always going to think it’s not getting enough attention from the centralized IT office. 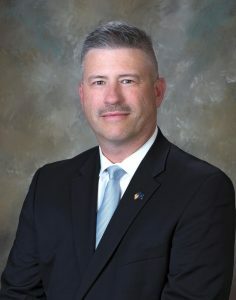 Rob St. John, a 33-year veteran of the state government, took over as acting director of WaTech after Cockrill’s departure, until retiring in May. The Gartner report also noted that many of the state’s legacy systems had not been modernized or consolidated, and that WaTech had not been an effective partner to other agencies in developing new services. It made several key recommendations, including a need for the state to focus on high-volume services, rather than trying to be “all things to all agencies.” Perhaps most notably, the report cited a need for a change in top executive leadership. With a new leader incoming, WaTech finds itself in the middle of dozens of large projects across the state, including a $145 million administrative system being built for the State Board for Community and Technical Colleges; an $81 million tax and business licensing system replacement for the Department of Revenue; and a $200 million financial system upgrade for the University of Washington.